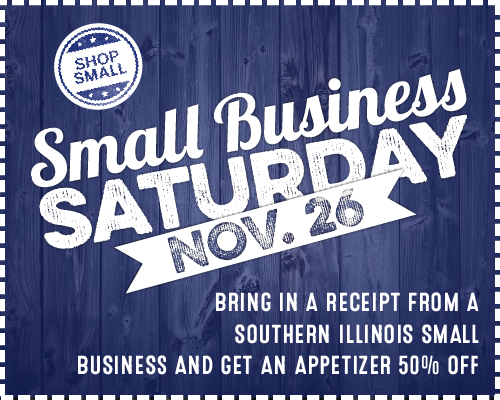 See what general manager of St. Nicholas Brewing company has to say about Small Business Saturday and get a great coupon for shopping local. See inside. My name is Abby Ancell and I am the general manager and part owner of St. Nicholas Brewing Company in DuQuoin. I am a consumer through and through. I love to shop, eat out, watch live music, buy things; basically SPEND. I have always appreciated the idea of shopping local and supporting my local community. But now, those people I am supporting have a face. I come to work everyday and watch my employees and peers work hard, feed their families, support themselves, go to school and save for their future- doing the same things I am doing, we are doing it together. It is really special to be a part of a business that cares about the well-being of the community that surrounds it. When we first set sights on the St. Nicholas Hotel, we knew it would take a village to put it back together, and it has. We made a promise to the community to fix up a 140 year old building that would be torn down if it was not bought and renovated. A building that is a historical sight, and a memory that so many in DuQuoin share. We have upheld our promise of turning this building back into a functioning business by putting out a product and service that is hand-crafted and that we believe in. We are lucky enough to have a community that has also shown us the promise of a future by supporting the St. Nicholas Brewing Company. 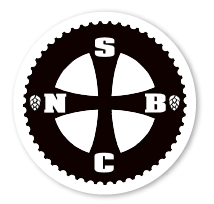 When you support the St. Nicholas, you support a cycling culture where we hold races and rides, you support a business that holds community events, and a business that supports live music and local artists. We buy locally when we can and we hand craft our beer that is made right here by two men that you can meet and shake hands with at any given time. We are what local looks like. By supporting us, it allows us to put resources back into our community and support you and your local business. It takes a village.